The last time Anil Bokil watched a movie was in 1992. It was the 1959 classic Ben-Hur. “I liked the way the film visualized the film maker’s imagination,” recalls Bokil. It is the visualization of ideas that fascinates Bokil. These days, he is happy that Prime Minister Narendra Modi has set in motion one of the big ideas that ArthaKranti Pratisthan, the Pune-based think-tank he founded 12 years ago, has proposed. 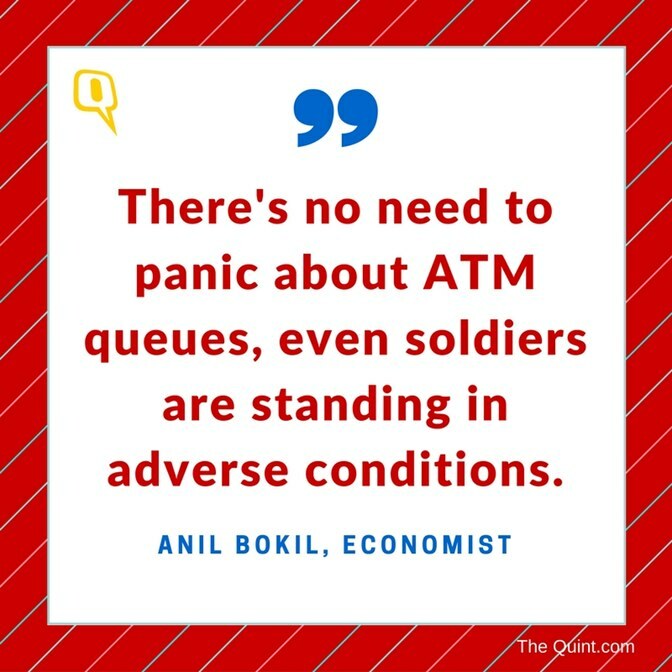 “It is a surgery done without administering the patient the dose of anaesthesia,” Bokil says about demonetisation of the currency notes of Rs500 and Rs1,000. He calls it “currency compression”, not demonetisation. “We have proposed compressing the currency so much that the Rs50 note becomes the highest denomination in circulation. We are not there yet but eventually we will,” prophesies Bokil with the easy certitude of a pragmatist. “We are not saying we go completely cashless. Some cash will have to be there, but we need to set the bar at Rs50. 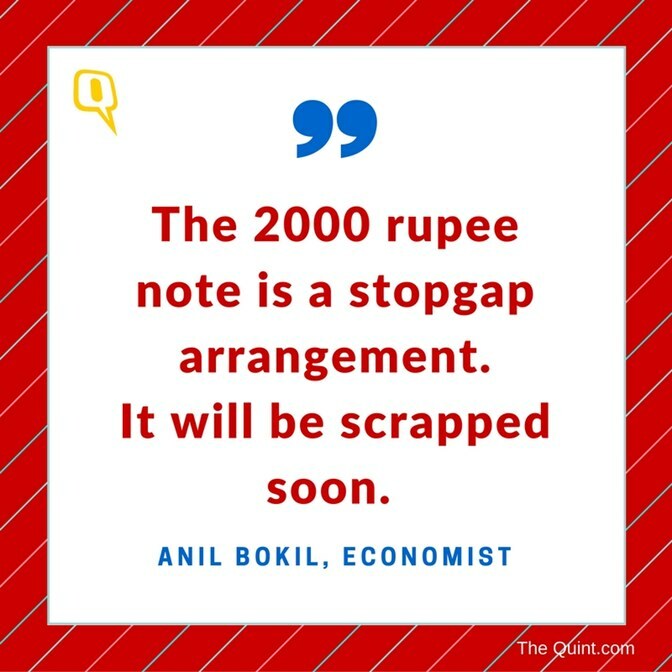 For a country like us where 70% of the population survives on just $2 per day, why do we need currency notes upwards of Rs100?” asks Bokil. The 55-year-old mechanical engineer has been an employee, employer, entrepreneur, economic theorist, and activist. “He has done many things in life and all of them in his own unique and fundamental way,” says Prashant Deshpande, Bokil’s colleague at ArthaKranti . Bokil comes from Latur in Marathwada, the town that in 2015 earned the dubious distinction of getting its drinking water from an Indian Railways train. Though ArthaKranti as an organization was registered in 2004, Bokil had started working on these ideas in 1999. It was in 1999 that Bokil, a bachelor who calls the universe his family, disassociated himself from an industrial project he had helped set up to support 100 skilled labourers of a major automobile plant in Aurangabad who had been fired during the 1994 recession. Otherwise chatty, Bokil is reluctant to speak about himself and insists several times during the conversation that it is the people at ArthaKranti Pratishthan, and all Indians themselves, who should be credited with the beginning of this task of currency compression. “It is the campaign that we all started 16 years back and the essential human gravity of all Indians that has actually set us on the path of total economic revolution. I am nobody,” he says. Yet, there are reasons why Bokil is a star post 8 November. He is modest when it comes to claiming credit but Bokil did not shy away from reaching out to the right powers when it mattered. In 2013, soon after Modi was declared the Bharatiya Janata Party’s (BJP’s) prime ministerial candidate, Bokil went to Ahmedabad with his colleagues and sought to make a small presentation to the would-be-prime minister about the ArthaKranti proposal. The office of the then Gujarat chief minister gave Bokil 10 minutes. “By the time I was done, I realised that he had listened to me for 90 minutes. He said nothing after I had made my presentation,” Bokil recalls. There have been a few follow-up meetings with Modi since then, in 2014, 2015, and even this year when, as the prime minister, Modi met Bokil with financial services secretary Hasmukh Adhia. 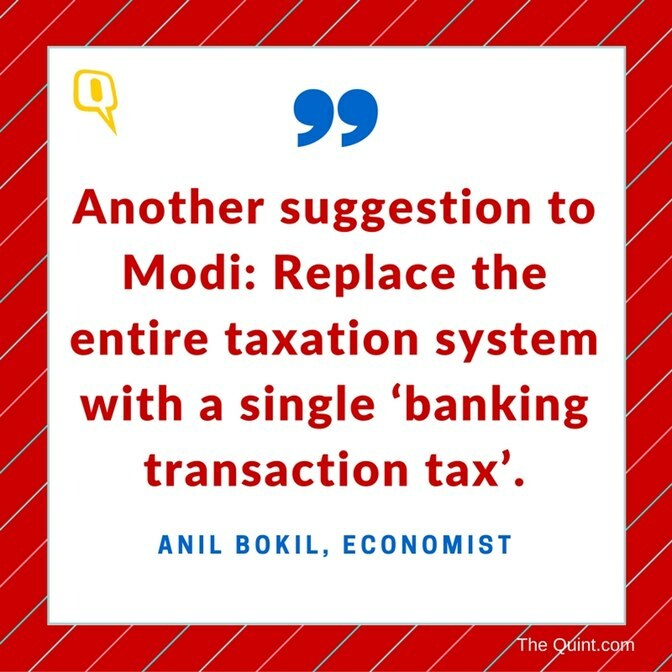 Before this now-famous meeting with Modi, Bokil had submitted his “no taxation” proposal to then BJP president and now Union minister Nitin Gadkari. “The first point of ArthaKranti proposal is a complete withdrawal of existing taxation system except the customs and import duties. The second point is tax on transactions routed through a bank, which will be the single point tax deducted at source on the credit/receiving account only. Third, cash transactions will not attract any tax. 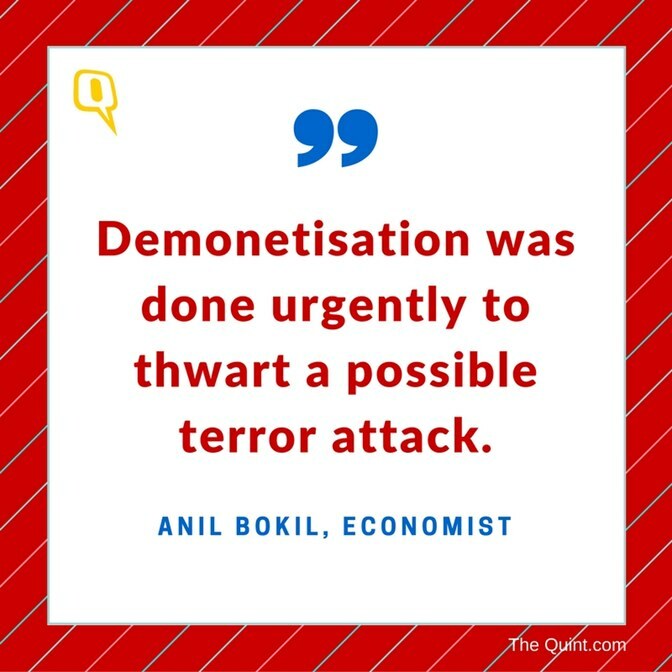 And the fourth point was withdrawal of high-denomination currency notes,” Bokil says adding that Modi has done the fourth thing first. “That’s probably his way of doing things. Nobody among us imagined that there would be a politician who would do this. 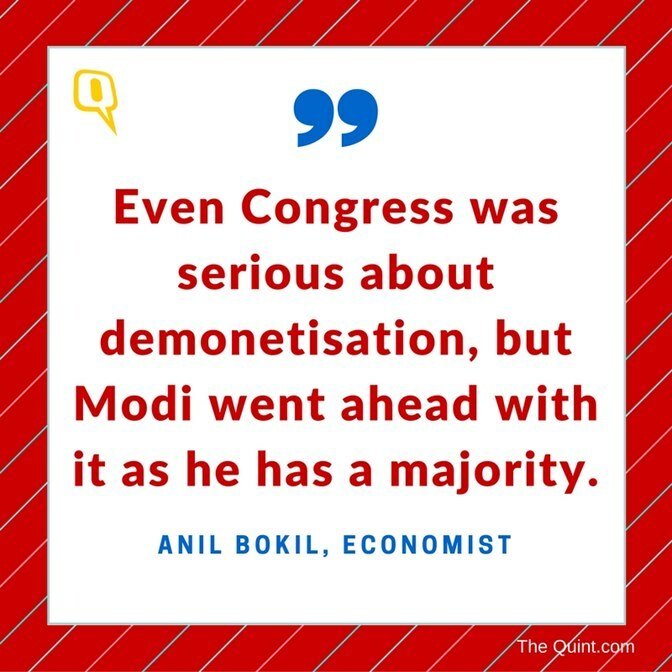 But Modi has proved us wrong,” Bokil says. The strife of the people after demonetisation reflects upon the ills of our society. Why was there not much outcry over the farmers’ suicides? 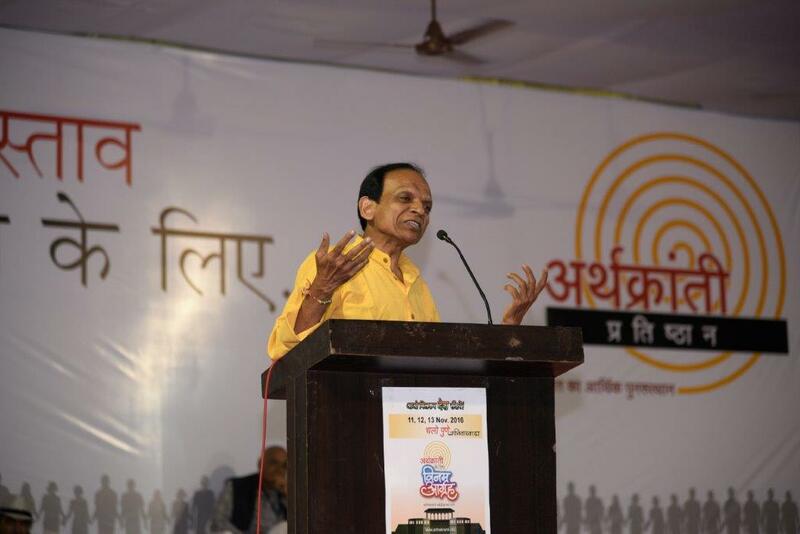 asks Anil Bokil, founder of “Arthakranti Pratishthan” whose proposal for economic rejuvenation formed the basis of demonetisations. The credit for demonetisation is being given to you. How did it all start? We have been suggesting several ideas for economic rejuvenation and as part of it, we have been meeting several people, telling them about the “Arthakranti Proposal”. In 2013, we had met the then Gujarat CM Narendra Modi. The engagement continued even after he became the PM. Some eight months back, we were asked to conduct a workshop on our proposal. People are suffering due to the decision. The sufferings of people are temporary. We are happy that the surgery has begun, and we all know that surgeries are painful. Several incidents of farmer suicides were screaming at us and it showed the flaws in our economy. If we had continued with the same economics, we would have become a dead nation. Does this mean that, even if it is not in line with your proposal, you support it? Yes. The fact that over Rs 3 lakh crore have come back to the banking system in one week tells the problem’s enormity. But, the common man is confused. We call this situation financial illiteracy and we have been working to solve it. Money had become a ‘commodity’ for the people. And now that the commodity is being taken away, they are confused. Once they start seeing money as a medium, their confusion would go away. People who understand the difference should help others. The government has given a 40-day window to get old currency exchanged. Had the people cooperated with the government and stayed calm, the situation would have been different. Tell us how Arthakranti started. In 1998, I was working for a factory in Aurangabad when recession struck. I wanted to know why this happened and after talking to several factory owners, labourers and union leaders, I concluded that no one was at fault. I gradually realised that the problem was not with the people but with the economic model that we have adopted. The way we are thinking about money could have led us to only one way, where we have reached. I then invited my friends over for brainstorming sessions. Eventually, our ideas became “Arthakranti Proposal” and in 2005, we formed the “Arthakranti Pratishthan”. What exactly is this “Arthakranti Proposal”? If we have a system, where there is abundance of capital (money), everyone will have opportunity to focus on more valuable goals. If benefits of following the system are much higher than the cost involved and cost saved by escaping the system is meagre compared to the risk associated, more people will follow the system and enjoy benefits of honesty. It is a way to reach this destination following five action points. The first is to withdraw the existing tax system. Then a single point tax would be levied. The idea is to route maximum transactions through banking which would attract certain deduction in appropriate percentage as transaction tax. The next step would be withdrawal of high-value currency. Next would be to put a cap on cash transactions. All transactions over Rs 2,000 should be routed through banks. Also, these would be exempted from transaction tax. The government has taken the first step. Do you think the rest will follow? Yes. The demonetisation decision has definitely raised our hopes. Pune-based economic think-tank Arthakranti has come to the forefront to claim credit for the decision taken by Prime Minister Narendra Modi to demonetise the currency. The group now wants the central government take another drastic step – abolish the income tax. According to Arthakranti, all taxes should be replaced by the Banking Transaction Tax (BTT), which could be applied at the rate of 2 per cent on all transactions. According to Business Standard report, Arthakranti is hopeful that the Prime Minister is keenly interested in their five-point agenda, which aims to eradicate black money from the Indian economy. The think-tank claims that it played the pivotal role in persuading Modi to demonetise the currency. The group has further demanded the government to roll-back the new notes of Rs 500 and Rs 2000 being introduced in the market. As per suggestions were given by Arthakranti, it becomes essential to eliminate all forms of higher denomination currency to impose an effective system of Banking Transaction Tax, or BTT. Apart from the abolition of Rs 500 and Rs 1000 notes, Arthakranti has also sought the scrapping of Rs 100 notes. This would eliminate nearly 97 percent of the hard cash currently in circulation in the market, says columnist Ravi Mantha in Swarajya. Arthakranti believes that PM Modi has already begun taking the essential steps to implement BTT in the nation. It claims that the emphasis on Jan Dhan Yojana and rolling out Goods and Service Tax are in tandem with the long-term goal of abolishing income tax and imposing banking transaction tax across the nation. BTT, or Banking Transaction Tax is proposed to be a surcharge which will be charged by the government on all banking transactions (debit and credit). The rate of BTT us proposed to be 2 per cent by Arthakranti. Proponents of this radical taxation system claim that it would increase the revenue collected by exchequer, and crackdown the menace of tax evasion. With only 2 percent being the rate at which people would be charged through BTT, Arthakranti believes that it would exponentially grow the number of people covered within the tax ambit. The abolition of all higher denomination notes above Rs 50 would compel people to switch to electronic transactions and thus remove the menace of black money, the group opines. Arthakranti further points out that the scope of hoarding illicit and unaccounted wealth would be completely minimized. As of now, no confirmation has been made whether the government is moving towards the abolition of income tax and implementation of BTT. No source from the government has even accepted the claim that Arthakranti influenced PM Modi to take the decision on demonetisation. However, the group has boasted about its close relations with PMO, claiming that in July this year, Arthakranti‘s leading light Anil Bokil got an appointment from Modi to discuss demonetisation. The time allotted to him was nine minutes, but the meeting continued for over 90 minutes, the group claims. Arthakranti is an economic think-tank which claims allegiance to no socio-political group. Although it pitched up its ideas to Bharatiya Janata Party (BJP) in the run-up to Lok Sabha elections in 2014, the group has not ideologically linked itself with it. The core membership of the group is formed by chartered accountants and technocrats who aim to radically cleanse the Indian economy. Imposing BTT is the utmost priority of the think-tank. Critics have defined it as a single-issue outfit. It’s been a week since the demonetisation drive and the guessing game has begun about the government’s next move in what is being billed as a series of steps to rein in unaccounted money. One of the theories doing the rounds is abolition of income tax. That may seem far-fetched, but a little known Pune-based organisation’s economic manifesto offers some clues. The Arthakranti Prathisthan is a Pune-based Trust that has a set of proposals aimed at India’s ‘economic rejuvenation’, one of which – scrapping high value bank notes – has already been implemented by the BJP-led Central government. A few other ideas mooted by the Trust figure in the Vision India 2025 document of BJP. A trustee whom News18 spoke to confirmed that Anil Bokil, the founder of Arthakranti, had met Prime Minister Narendra Modi last year in a meeting that lasted 90 minutes where demonetisation was discussed. Proposal No. 3 in a list of 5 items on the Trust’s website states that high denomination currency should be withdrawn from circulation. However, it is the top proposal that is interesting. It calls for an abolition of the existing tax system completely and its replacement with a flat tax on banking transactions. The so-called Banking Transaction Tax (BTT) would replace all direct and indirect taxes in the country and would yield revenue greater than the current tax take and be less prone to corruption, according to its proponents. At first glance, a proposal to abolish Income Tax may seem to be right out of the pages of the Libertarian Right. But the BJP has endorsed the idea in a document it released before the general elections called ‘Vision India 2025’. The proposal was a recommendation by the Arthakranti Prathisthan. Party leaders like Subramanian Swamy have argued in the past that scrapping the income tax will boost up the economy. His argument is that abolition of Income Tax will increase savings rate and help economic growth. One of the Arthakranti trustee Yamaji Malkar told News18 that the current system of taxation is the root of corruption and the solution. “A banking transaction tax would yield the nation about Rs 40 lakh crore, which is more than what the nation nets right now through the current system,” Malkar said. A perusal of the budget document shows that the estimated revenue for 2016-17 is Rs. 13.77 lakh crore, out of which Rs. 10.54 lakh crore is tax revenue (direct and indirect) and Rs. 3.22 lakh crore is non-tax revenue (spectrum auction, coal auctions etc). When asked which rate of BTT, or what percentage of the population would have to be covered by the banking system to yield Rs. 40 lakh crore, Malkar was vague. The website mentions a hypothetical rate of 2%, but there are no hard numbers about how much this rate will yield. Malkar said that 50% of the population has access to banking and the government’s seriousness about expanding the network will determine the rest. When asked if a flat rate of BTT was regressive Malkar said that indirect taxes at present were also regressive, and the system proposed would be an improvement. Pronab Sen, the former Secretary of the Statistics Ministry, said that a banking transaction tax would merely push people to use cash for transactions, the exact opposite of what is needed to rein in unaccounted money. One of the proposals floated by Arthakranti seems to back this up. It calls for no tax on cash transactions. Economist Anil Bokil, who runs an organisation called ‘Arthakranti’ in Pune has been promoting scrapping of notes with bigger denominations for over 16 years. He had met Narendra Modi in November 2013 for 90 minutes and had come up with two major suggestions. First, scrapping of 500 and 1000-rupee notes. The second major suggestion was scrapping of the entire existing taxation system with a single ‘bank transaction tax’. One who receives money in any bank transaction will be taxed. The total tax revenue would eventually be divided between the Centre and the states. Will Modi listen to the suggestion? What is the Next Big Announcement Modi is Planning to Make on December 31st 2016?